$0.39 for 4 Light Bulbs! 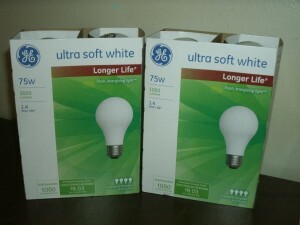 Check out this awesome deal you can get on GE light bulbs at Target! = $.78, or just $.39 each! Thanks for the deal and photo, Extremely Wild 4 Savings!